For other uses, see Driving (disambiguation). "Motorist" redirects here. For other uses, see Motorist (disambiguation). The origin of the term driver, as recorded from the 15th century, refers to the occupation of driving working animals, especially pack horses or draft horses. The verb ' to drive ' in origin means "to force to move, to impel by physical force". It is first recorded of electric railway drivers in 1889 and of a motor-car driver in 1896. Early alternatives were motorneer, motor-man, motor-driver or motorist. French favors "conducteur" (the English equivalent, "conductor", being used —from the 1830s— not of the driver but of the person in charge of passengers and collecting fares), while German influenced areas adopted Fahrer (used of coach-drivers in the 18th century, but shortened about 1900 from the compound Kraftwagenfahrer), and the verbs führen, lenken, steuern —all with a meaning "steer, guide, navigate"— translating to conduire. 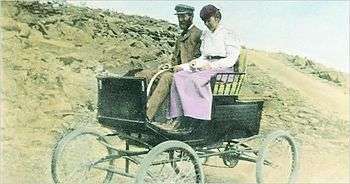 The world's first long distance road trip by automobile took place in Germany in August 1888 when Bertha Benz, the wife of Karl Benz, the inventor of the first patented motor car (the Benz Patent-Motorwagen), travelled from Mannheim to Pforzheim (a distance of 106 km or 66 miles) and back in the third experimental Benz motor car, which had a maximum speed of 10 mph or 16 km/h, with her two teenage sons Richard and Eugen but without the consent and knowledge of her husband. Her official reason was that she wanted to visit her mother, but unofficially she intended to generate publicity for her husband's invention, which had only been taken on short test drives before. The automobile took off greatly afterwards and the Benz's family business eventually evolved into the present day Mercedes-Benz company. In 1899, F. O. Stanley and his wife, Flora, drove their Stanley Steamer automobile, sometimes called a locomobile, to the summit of Mount Washington in New Hampshire in the United States to generate publicity for their automobile. The 7.6-mile (12.2 km) journey took over two hours (not counting time to add more water); the descent was accomplished by putting the engine in low gear and doing lots of braking. In certain countries, especially the Scandinavian countries, driving and its equivalent word in the respective language has become a colloquialism for action in a general sense. For instance, the phrase "Let's drive" means roughly the same thing as the more common "Let's go" but more often pertaining to engaging in a task rather than departing or travelling somewhere. 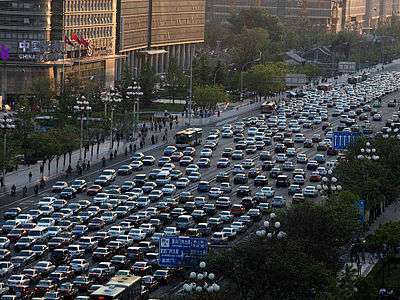 Driving in traffic is more than just knowing how to operate the mechanisms which control the vehicle; it requires knowing how to apply the rules of the road (which ensures safe and efficient sharing with other users). An effective driver also has an intuitive understanding of the basics of vehicle handling and can drive responsibly. Although direct operation of a bicycle and a mounted animal are commonly referred to as riding, such operators are legally considered drivers and are required to obey the rules of the road. Driving over a long distance is referred to as a road trip. Distractions can compromise a driver's mental skills. One study on the subject of mobile phones and driving safety concluded that, after controlling for driving difficulty and time on task, drivers talking on a phone exhibited greater impairment than drivers who were suffering from alcohol intoxication. Another survey indicated that music could adversely affect a driver's concentration. Driveability of a vehicle means the smooth delivery of power, as demanded by the driver. Typical causes of driveability degradation are rough idling, misfiring, surging, hesitation, or insufficient power. A driver is subject to the laws of the jurisdiction in which he or she is driving. The rules of the road, driver licensing and vehicle registration schemes vary considerably between jurisdictions, as do laws imposing criminal responsibility for negligent driving, vehicle safety inspections and compulsory insurance. Most countries also have differing laws against driving while under the influence of alcohol or other drugs. Aggressive driving and road rage have become problems for drivers in some areas. Some countries require a vision screening test for individuals to acquire or renew a driver's license. A 2010 systematic review found insufficient evidence to assess the effects of vision screening tests on subsequent motor vehicle crash reduction. The review concluded that there is a need to develop valid and reliable tools of vision screening that can predict driving performance. Motorists are almost universally required to take lessons with an approved instructor and to pass a driving test before being granted a license. Almost all countries allow all adults with good vision and health to apply to take a driving test and, if successful, to drive on public roads. Saudi Arabia, however, bans women from driving vehicles (whether pedal or motor powered) on public roads. Saudi women have periodically staged driving protests against these restrictions. Winter driving can pose serious hazards in countries with colder climates. (Hwy. 11 in Ontario, Canada). In many countries, even after passing one's driving test, new motorists are initially subject to special restrictions. 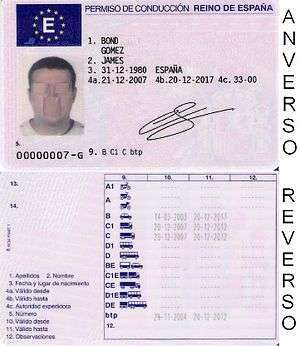 For example, in Australia, novice drivers are required to carry "P" ("provisional") plates, and are subject to alcohol limits, and other restrictions, for their first two years of driving. Many U.S. states now issue graduated drivers' licenses to novice minors. Typically, newly licensed minors may not drive or operate a motorized vehicle at night or with a passenger other than family members. The duration of the restriction varies from six months to until the driver is 18 years old. This is due to the mental aptitude of a young or unexperienced driver not being fully developed. 1 2 CHRISTOPHER JENSEN (June 17, 2011). "Taming a Mountain Road With Horses and Cars". The New York Times. Retrieved 2011-09-29. That was the day that F. O. Stanley and his wife, Flora, decided it would be good publicity for their steam-powered Stanley Locomobile if it were the first car to be driven up the 7.6-mile Mount Washington Carriage Road. ↑ "Getting moving". Driving Test Advice. ↑ "Think driving is all about practical skills?". Easy to Drive. ↑ Strayer, David; Drews, Frank; Crouch, Dennis (2003). "Fatal Distraction? A Comparison of the Cell-Phone Driver and the Drunk Driver" (PDF). University of Utah Department of Psychology. ↑ Desapriya, E.; Wijeratne, H.; Subzwari, S.; Babul-Wellar, S.; Turcotte, K.; Rajabali, F.; Kinney, J.; Pike, I. (2011). Desapriya, Ediriweera, ed. "Vision screening of older drivers for preventing road traffic injuries and fatalities". The Cochrane Library. doi:10.1002/14651858.CD006252.pub3. ↑ "Graduated Driver Licensing (GDL) Laws". July 2012. Retrieved 2012-07-22. Vanderbilt, Tom (2008). Traffic : why we drive the way we do (and what it says about us) (1st ed.). New York: Alfred A. Knopf. ISBN 978-0-307-26478-7.